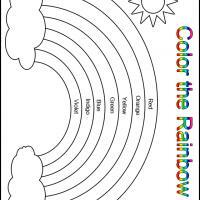 Teach kids about the beautiful colors of the rainbow with these free printable kindergarten worksheets and lessons. 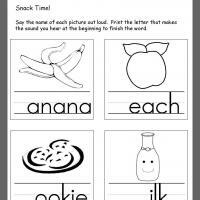 Color the Rainbow Kindergarten worksheet. It is clearly labeled with the colors red, orange, yellow, and green, blue, indigo and violet in the order they appear in a rainbow. It is easy for them to know what shade to color on each row. Afterwards, they can finish the worksheet by coloring the sun and the clouds. Do you know that the rainbow you see after a rain storm has seven colors in a particular order? When you color one of these free printable worksheets you see all the beautiful colors. After the rain stops the sun shines through all the rain droplets still in the clouds to refract the light. The result is all of these colors listed in order of appearance on the color the rainbow kindergarten worksheet. Beginning with brilliant red all the way to a deep violet hue, the colors shine bright. See if you can make your colors that pretty too. We are sure you can and have fun also. Ask your parents or teachers for some crayons today. Use these free printable worksheets and combine the love of coloring and learning science at the same time. A rainbow will cast a glorious array of colors when the sun appears after a rain. As the light hits the left over rain droplets in the clouds a beautiful burst of color is displayed in a certain order. That order depends on how much light is refracted from the sun. Color the rainbow kindergarten worksheet clearly marks their order of appearance. The colors range from the first being a glowing red to a deep violet at the end. The colors in between are orange, yellow, green, blue and indigo. 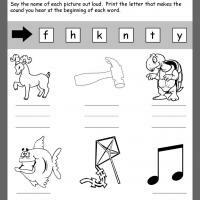 Free printable kindergarten worksheets and lessons make science interesting.